Next year, League of Legends and esports in general will be making an unprecedented step forward with the franchising of the NA LCS and LPL. With a price tag on a spot in the new-look league reportedly valued in the $10 million range, even angry Twitter users who argue that "e-Sports are not real sports" will have to admit that competitive gaming isn't just some fad. 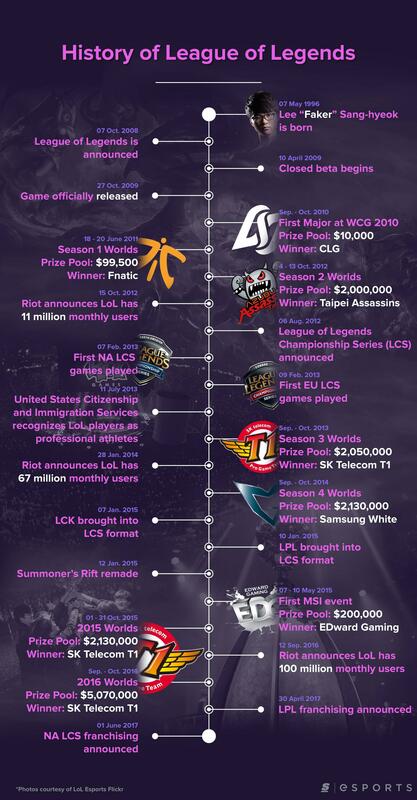 So with that in mind, theScore esports decided that now is as good a time as any to look at how far League of Legends has come. And yes, as far as we're concerned the game's history started when a little-known man named Faker was brought into this world.